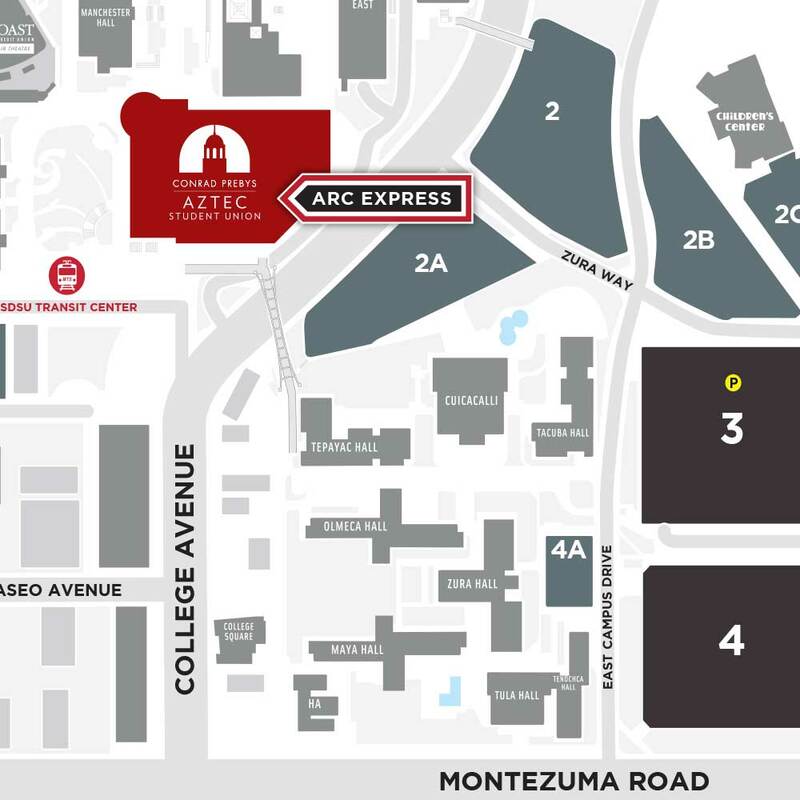 The ARC Express is located on the third floor of the Conrad Prebys Aztec Student Union, which will be on your right. Turn left onto Zura Way. Structure 3 will be on your right. After you parking, exit the parking structure and walk west toward the residence halls and the large arched bridge. Cross the bridge and you will enter into Conrad Prebys Aztec Student Union. ARC Express is located on the 3rd floor of the Union.